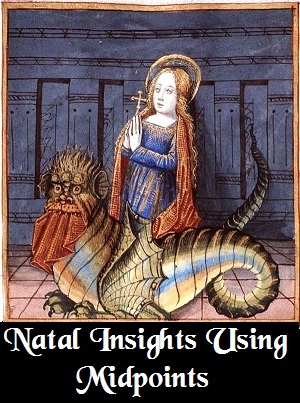 Natal Insights using Midpoints Astrology Report provides new insights into the natal chart using the Midpoint Weighting Analysis system developed by Michael Munkasey. Clear and detailed explanations of the promise and potential of your natal chart are provided. This unique natal report reveals the clear new insights into a person's character that are possible through analysis of the most important midpoints in the chart. Shows what traits are strongest in a person. 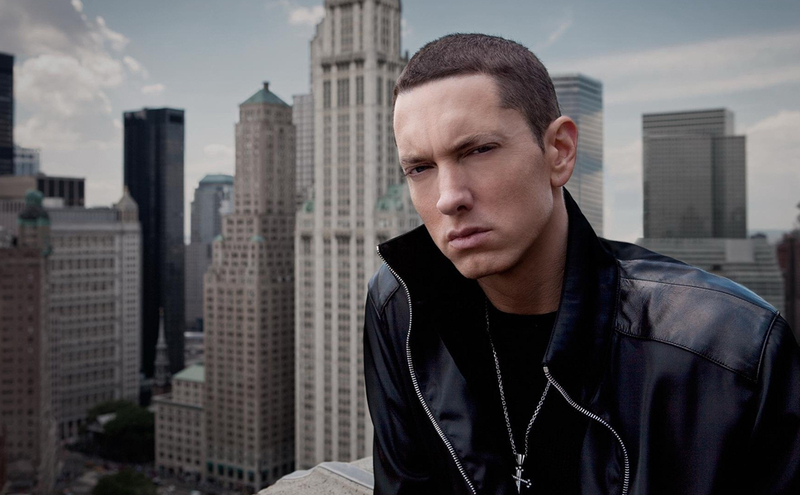 better known by his stage name Eminem and by his alter ego Slim Shady, is an american white rapper with a solid reputation of vulgarity, exhibitionism, irreverence and rage, the apparent requisites for success with the youth culture at the turn of the century. He is actually quite democratic about those whom he loathes, equally dissing parents, the media, fans, women, Christina Aguilera, gays and, of course, his wife, Kim. He sports a tattoo on his chest that reads "Kim: Rot in Pieces" and he writes songs about killing her. Eminem has spoken so freely about growing up the "epitome of white trash" that his mother, Debbie Mathers-Briggs, 45, has filed a $10 million defamation suit. Denying Eminem's claims that she used drugs, as he has alleged in interviews, Mathers-Briggs, co-owner of a cab company in St. Joseph, MO., is also threatening to publish a tell-all book and release her own retaliatory rap. On 4/01/2002, he agreed to pay $100,000 to construction worker John Guerra, 28, who alleged the rocker threatened him with a handgun in June 2000, Warren, MI. Listed below are your strongest midpoints as calculated by the Midpoint Weighting Analysis, along with a short commentary about some of the midpoint's qualities. The listed order is not important. These midpoints are ALL equally important in your life. There are 78 possible midpoint combinations using the planets and points in available, and only the midpoints that are strongest in your chart are described here. Given below is a more detailed interpretation of each of the midpoints listed above. According to the Midpoint Weighting Analysis, the themes, issues, personality characteristics, and likely behaviors described are very strong and important for you. This combination serves as a focal point for the integration of your inner and outer selves. Each person has both a male and female part of self. 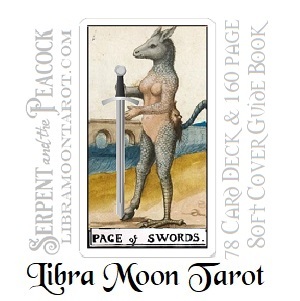 These energies help define who you are as a person and underlie all you do throughout life. Getting acquainted with these two sides of self to make progress is important. You may already have a strong sense of self, or you may need to strengthen your image of self. Defining who you are while keeping a sense of self separate from others is an important step toward self-definition. Keep in mind that despite the trials and tribulations of life you still need to maintain a unique identity and purpose which defines you. Using these energies wisely you should be better able to keep this sense of self through whatever you encounter in life. While keeping a sense of self is important, you also have to realize that an ego which grows too big can outstrip its capacity to impress. A sense of self is important, but a too large ego which sets self above others in many circumstances is not. You are not God. You are only a part of God, and your close alignment with the spiritual aspect of God depends on your sense of self and how this is developed. When you start to impose that your sense of self, your thrust, and your ideas are better than those of others, then this can become detrimental to making progress in positive ways. This combination includes both a sense of determination as well as the emotional thrust of self. These ask that you work toward a central ground, neither too pushy nor too bashful, as that is where your personal development should focus. You should not strive to be so "hot" of a personality that you overpower others. But then you should not be so "cool" as to retard personal development. Seeking a middle ground where you maintain a healthy psychological balance inwardly while not giving up to others outwardly should become a major objective in life. This pair contrasts sensitivity with boldness. Trade-offs between showing care and concern while maintaining personal ideals can occur. A balance is called for which asks you to keep self stabilized in all social and personal interactions. One lesson here is to be impressive to others and self without overwhelming situations with your importance or your beingness. Learning, practicing and then achieving balance in all activities should become a goal. Showing lavishness through the home or your lifestyle is only acceptable when your personality development matches your outward shows. Learning and practicing to sustain emotions, or adding in emotional thrusts to your actions before others is helped here. This combination adds a genuineness of sincerity to your presentations, regardless of how internally you feel about a situation. Thus this can be helpful for impressing your emotional attitudes upon a situation -- a basic actor's skill. Old fashioned theatrics, a touch of melodrama, genuine feelings displayed in flowery ways -- these are all a part of this important combination. Famous People who are STRONG in this midpoint's characteristics include: Jerry Rubin, Arthur Rimbaud, Jackie Robinson, Edmund Halley, Helen Reddy, Marc Edmund Jones, Ferdinand Foch, Charles Kettering, George Patton, Albert Speer, John Glenn, Bob Dylan. Famous People who are WEAK in this midpoint's characteristics include: Ralph Nader, Drew Pearson, Jeddu Krishnamurti, Steve Wozniak, Hermann Goering, Tommy Smothers, John Dillinger, Komar. Notable Events with this midpoint's active or strong include (a weak event is shown in parenthesis): George Washington's Inauguration, Alaskan Earthquake, First Medicare Patient Enrolled, Apollo 11 Moon Landing, (Lee's Surrender at Appomattox). 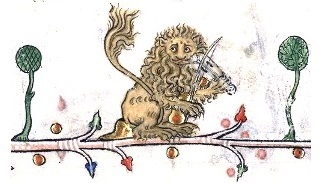 Equivalent or Corresponding Astrological Combinations: Sun in the 4th House, Moon in the 5th House, Sun in Cancer, Moon in Leo, Sun opposition (anything), Moon conjunct (anything). You tend to remain conscious of your energy reserves and so do not work to total exhaustion, but simply to a point where a work goal has been met before taking a break. You usually seem to have all of the energy you need to complete your tasks or work. You monitor your body, nourish it, and take care of its needs to have the physical resources to carry out your intentions, as well as perform expected duties. When done right you probably are able to meet your intended and set goals because you have prepared and monitored your physical needs well through nutrition, exercise, etc. What your levels are in these areas are not what other's are, but you probably remain well aware of your body and its needs, nurturing same so that it performs to your standards. The expansion and improvement of knowledge, information sources, educational resources, etc. becomes important. You may teach others what you have learned, and may even start a school to do this. Acquiring and gathering information, resifting it into a better form, and then giving that back to others may occupy much of your time and energy. Information can become almost like a moral issue with you. You may see yourself on a path to clear out old ideas which you see as detrimental or blocking, and then work to reformulate these into better forms for others to work with. This can range from ideas on financial matters, psychological growth, personal matters, information sources, family needs and interactions, entertainment, or work-related procedures. It is not so much the field as the inner push you feel to improve upon existing ideas or areas of interest. Due to your excess energy you should like to move around, exercise, etc. In other words, not remain stationary. Having assignments where motion is restricted, or where you are not physically able to exert energy at least during some moments, can seem quite restricting. Thus, when offered choices about working conditions keep in mind your need to be able to move, expend energy, etc., and stay away from situations where your physical movements would be restricted or blocked. Traditional religious ideas probably hold little interest for you. You may see yourself as someone who understands the need for a strong relationship to God and God-principles, but not necessarily someone who needs to follow the dogma and ritual of one established religion. You may spend years faithfully attending and practicing one religion's tenets, and then some break may come which causes a shift away from that practice. The same holds true for supporters who tell you about their plans for your ideas. You may watch them, encourage them, and work with them -- but if they really impose their ideas on your developments, then your support of the partnership will suffer. You are not a "Do it MY way" person, but you remain aware of the propagation of ideas in ways which benefit a general good, as opposed to an individual. When the individual needs take over, then a separation can result. Famous People who are STRONG in Mars/Jupiter characteristics include: Percy Bysshe Shelley, Carl Sandburg, Joseph Joffre, Charles Gordon, Jonathan Winters, Sir William Crookes, Franklin Roosevelt, Ferdinand Foch, Sean Connery, Grant Lewi, Arturo Toscanini. Famous People who are WEAK in Mars/Jupiter characteristics include: Moshe Dayan, Peter Max, Merv Griffin, Edmund Halley, John Fremont, Ellen Burstyn, Edgar Degas, Willie Mays, Ada Lovelace Byron. Notable Events with Mars/Jupiter active or strong include (a weak event is shown in parenthesis): Chernobyl Nuclear Explosion, Kent State Shootings, RMS Titanic Hits Iceberg, First A-Bomb Explosion, (James Meredith Enrolled at U. Miss). Equivalent or Corresponding Astrological Combinations: Mars in the 9th House, Mars in the 12th House, Jupiter in the 1st House, Jupiter in the 8th House, Mars in Sagittarius, Mars in Pisces, Jupiter in Aries, Jupiter in Scorpio, Mars trine (anything), Jupiter semi-square (anything). These energies are the primary mother-father planetary force indicators, and when combined as here, they call for a caring yet exactingly correct approach to anything being undertaken. Interaction between needs to nurture and protect, and drives to instill a disciplined and correct approach in all matters, appear here. You can see this in activities like the raising of a family, completing daily work tasks, seeking education, etc. In all instances there is a balance shown, innately worked out in an instinctive yet orderly way, to tasks being played out on the human stage. Through these energies the scientific approach combines with a mothering instinct to do that which is correct and thorough, but at the same time doing such with a caring and nurturing approach and attitude. This can come out as a disciplined and correct caring. There probably is a strong need to protect and nurture all that is held sacred, especially matters concerning family and/or environment. Care and concern about "Mother Earth" and how she is being used or exploited, concern about the safety and protection offered within communities, concern about the implementation of change and how this could possibly upset the balance of status quo, or erase historical memories -- many such are shown here. There usually is a concern for the commonplace and ordinary, along with a need to preserve memories of such. The idea would be to preserve and save these memories and mementos for future generations, so that they would be able to see and enjoy everyday activities and objects of past generations. Often there can be many frustrating encounters within daily routines. Delays which are not anticipated can arise, causing ever increasing problems for well laid out plans. While attending to such, there can be a long passage of time, which goes unnoticed, and hence deadlines or appointments may be missed or made late. Thus frustrations can lead to blockages which lead to additional frustrations, etc. The way around this would be to carefully plan before hand what is to be accomplished, and when. This is the other side of the "randomness" generated by this combination. Checking along the way to ensure that any delays encountered are not affecting promised time schedules can save much future disappointments. There can be a strong need to join in with like-minded others for mutual protection and common activities. Community cooperation, especially in smaller groups, can become a drawing point. Through such mutual interactions many lasting customs and social programs can begin. This often is about everyday cooperation to effect a greater good than only one family can bring about. There probably will be many different opinions about how to effect such interactions, but eventually routines can become standardized and the roles of the participants more clearly defined through their interactions. As time passes then these become the social practices of not only immediate families, but also of the surrounding communities. Preservation and care of the land, keeping the land productive, monitoring water supplies, and establishing defined boundaries are often a part of such. Famous People who are STRONG in this midpoint's characteristics include: Sally Ride, William K. Douglas, Evel Knievel, Charles Kettering, Amadeo Modigliani, Marc Edmund Jones, Benito Mussolini, Adolf Hitler, Mario Andretti, Sydney Omarr, Robin Williams. Famous People who are WEAK in this midpoint's characteristics include: Art Linkletter, Gen. Charles Gordon, Lance Reventlow, Auguste Rodin, Robert DeNiro, F. Scott Fitzgerald, Bobby Fischer, Steve Wozniak. Notable Events with this midpoint's active or strong include (a weak event is shown in parenthesis): Apollo 11 Moon Landing, Chernobyl Nuclear Disaster, East Coast Power Blackout, Challenger Explosion, (Ramstein Airshow Crash). 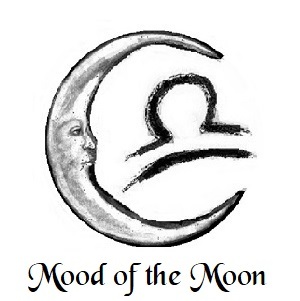 Equivalent or Corresponding Astrological Combinations: Moon in the 10th House, Saturn in the 4th House, Moon in Capricorn, Saturn in Cancer, Moon square (anything), Saturn opposition (anything). Daily preoccupation with the needs to keep life moving ahead in a more or less steady fashion, while juggling the demands from family and others for time and attention, should be strong here. Working through and with any responsibilities taken on to keep family and business moving forward becomes an important issue with this combination. There can be a constant need to balance your time and efforts between these two issues. Then too the reassessment of where and how to place priorities as such areas of life coincide or conflict, also can become an important area for learning about maintaining the balance of self against the needs of life. As friends or co-workers place demands on self and time, these have to be weighed and balanced against your family and also personal interests. Achieving a balance to keep all such factions satisfied is an important lesson within this combination. There should be an innate sense about understanding the needs and moods of customers, or just people requesting information or services. This can be a good quality for anyone involved in commercial or financial activities, but even with such innate feelings, the application of these instinctive attributes needs to be recognized, understood, and honed. Just because you have "feelings" does not mean that such feelings are correct, or can lead you on to success in all instances. Learning how to control and read the "feelings" and impressions you receive about what customers or others really want can take time and practice. Learning to recognize what will or will not work, or what may not be feasible, is also necessary. However, as this skill is developed and understood, much good can come of it, because then future thrusts for life and/or efforts in general can be tailored to the trends you see as becoming important. For people running a restaurant, a business making products, or, even a service oriented business catering to people's needs (like advertising, temporary help, a service trade, etc. ), this attribute can help define more productive ways for operating. Important within this combination is meeting and interacting with people. There probably are some important reasons why you meet and interact with the people you do. Such reasons may go back in time to incidents long forgotten, or not presently recognized in your immediate consciousness. The same goes for information which seems to come in from some place, somehow, which strikes a note of recognition deep within self. Learning to recognize such "feelings" about who or what is important, and then what to do with the people or the information, is also a part of this combination. People may attach to you, calling you "friend", when you really don't want or feel a need for them. But there usually is some reason for their coming into your life, some lesson they are here to open you to, or to teach you. You need to become aware of who or what is happening in your life, and the overall importance of how you assign time and energy to resolving and/or understanding such events. Famous People who are STRONG in this midpoint's characteristics include: Bob Hope, Vida Blue, Tom Jones, Dave Garroway, Al Unser, William Butler Yeats, Giacomo Puccini, Alexis Carrel, Jack Schwartz, Steve Wozniak, John Glenn, Sam Sheppard, Jean Paul Sartre, John Paul I. Famous People who are WEAK in this midpoint's characteristics include: Carl Sandburg, Percy Bysshe Shelley, Benito Mussolini, David Frost, Willie Mays, Marc Edmund Jones, Ferdinand Foch, Anne Murray. Notable Events with this midpoint's active or strong include (a weak event is shown in parenthesis): Alaskan Earthquake, Watergate Burglary Discovered, Challenger Explosion, Kent State Shootings, Richard Nixon's Resignation, (USS Maine Explosion). Equivalent or Corresponding Astrological Combinations: Node in the 4th House, Node in Cancer, Node conjunct or opposition (anything). When there is a need to persist through any adversity or unfriendly circumstances, as in business, military or athletic situations, or when embarking on untried efforts whose outcome remains in doubt, this combination adds determination, stability and persistence. These energies help with the organization, administration, planning and management of any and all efforts. When needs for disciplined or controlled approaches are called for, this combination provides added emphasis to creating and also sticking to a routine or set of routines which can see the effort through to the end, regardless of the physical, emotional or similar costs. Once set in motion, undertakings using this combination tend to last, and they also usually come to effective conclusions. They may start off slow, and even to some ridicule of derision as to the expected final outcome, but when completed they usually exceed expectations and produce useful outcomes. Though generally conceived to be a difficult combination, and one which demands much from people having this strong, it can also lend an inner organization and attention to detail which in the long run can save much time and overall effort. This is not a flashy or socially impacting combination, and people with this strong natally can come off as being out of step with the rest of the world when it comes to social awareness or political intrigue. But those with this combination strong could probably care less about such, as they generally remain focused on specific goals and outcomes -- like those measured in time and money savings. There generally is an economy of purpose kept in focus here, with results on practical and completed outcomes. This combination can be quite good at adding personal discipline to your lifestyle. When there is a need to abruptly turn parts of life around, like going on a rigid diet or demanding exercise regimen, these energies can help you persist through any physical or mental pain along the way. When preparing for an upcoming test of will or determination, this is a good set of energies to have strong. There is no guarantee of success. What is promised is that the overall approach taken will be sincere and persistent. There may be unusual approaches and deviations from norms to get from here to there, but regardless of the tactics used, there should be an eye on an eventual outcome. Many losses or limitations can be encountered with this combination, but these generally only serve to spur you on with whatever it is that needs to be accomplished. While others are saying "this can not be done", or, "this may not be safe", or, "you can't do this because you don't have the guts," then with this combination strong the overall effort will probably be made, and whatever the effort, persist through to the end. There are many undertakings in life, both with personal goals, such as achieving an athletic level of competence or persistence; or with the creation or actualization of difficult engineering or scientific efforts; where this combination can lend the added energetic support and encouragement to achieve finality. Famous People who are STRONG in Saturn/Pluto characteristics include: Gen. Joseph Joffre, Scott Carpenter, Olivia Newton-John, Albert Camus, Johnny Carson, George Patton, Nikola Tesla, Ulysses S. Grant, Erich Maria Remarque, Jean Cocteau, Billy Rose, Winston Churchill. Famous People who are WEAK in Saturn/Pluto characteristics include: Richard Alpert, John F. Kennedy, Richard Byrd, Benito Mussolini, Gustav Dore, Edna Ferber, Laurence Olivier, Jean Paul Sartre. Notable Events with Saturn/Pluto active or strong include (a weak event is shown in parenthesis): Kent State Shootings, Chernobyl Nuclear Accident, Alaskan Earthquake, Pearl Harbor Attack Begins, (Franklin D. Roosevelt Wins First Election). Equivalent or Corresponding Astrological Combinations: Saturn in the 1st House, Saturn in the 8th House, Pluto in the 10th House, Pluto in the 11th House, Saturn in Aries, Saturn in Scorpio, Pluto in Capricorn, Saturn semi-sextile (anything), Pluto square (anything). Probably quite early in life you learn the importance of cultivating political and social ties to help you. Assessing who can or who can not be helpful for your purposes is activated here. Others may call it luck in being in the right place at the right time, or in meeting and captivating important people to help in life -- but this is more just a part of just being you. The inner thoughts needed to cultivate social and political contacts, and keeping these contacts aware of your personal interests should be strong. "The Old School Ties"; "The Family Name (or History)"; being involved in the "correct" social or community organizations, perhaps heading up a high-profile charity function, athletic event or league -- these are typical of situations where you can both contribute to overall humanitarian efforts while improving your name recognition and reputation within community and beyond. There should be a good sense of what will or will not work for advertising and/or spreading the word about professional or personal capabilities and interests. There should be an inner eye focused on promotional opportunities, and seeing where the least amount of promotional effort can produce the maximum amount of return. Without others being aware of what you have done, or what you are capable of doing, then much opportunity in life can be lost. Losing such opportunity is not likely to be something that you would take lightly. Important for you would be creating opportunities through social or political organizations, or charity functions, to get better name and professional recognition. Working through others to achieve this should become an important activity. Usually an element of luck appears here, which can lead to beneficial connections and ties to others that help advance your business and personal interests in more than ordinary ways. There is probably little within you which thinks small, for the big picture of how to effect positive outcomes should be more to your liking. You may publish papers, books or materials which not only bring recognition, but also financial success. Businesses with this strong seem to have ways of choosing the right products and distribution means for increasing profitability. The likelihood of big money being involved here is strong. Backers will come and they should support you because they will somehow sense that you have the overall influence and drive to ensure success to your undertakings. One downside to this combination involves getting yourself spread too thin, or making too many promises, some of which you may not be able to deliver. When this happens you may only disappoint a small number of people, but nevertheless these people can and may tarnish your overall good reputation. Perhaps you will make some minor legal infraction or misjudgment, which can get blown out of proportion, for which you then have to make some social or governmental amends, like paying penalties, or perhaps even jail time. Handling yourself well through such turmoil, you can endear many people to you with your social grace and ability to pull off a turn-around even under adverse circumstances. 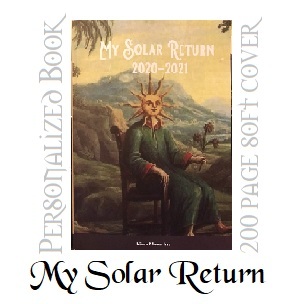 Famous People who are STRONG in Jupiter/Midheaven characteristics include: Carl Sandburg, Arthur Ford, Willie Brandt, Jacques Cousteau, Bobby Fischer, Thomas H. Huxley, Ernest Pyle, Paul Newman, Drew Pearson, R. D. Laing, Albert Camus, Johann Von Goethe. Famous People who are WEAK in Jupiter/Midheaven characteristics include: Israel Regardie, Gustav Dore, Lord Byron, John Denver, Olga Worrall, Paul Cezanne, Benito Mussolini, Arturo Toscanini, Bertrand Russell. Notable Events with Jupiter/Midheaven active or strong include (a weak event is shown in parenthesis): Alaskan Earthquake, Wright Brothers First Flight, East Coast Power Blackout, South Carolina Secession, (John F. Kennedy Shot). Equivalent or Corresponding Astrological Combinations: Jupiter in the 10th House, Sagittarius on the Midheaven, Pisces on the Midheaven, Midheaven trine (anything). This combination calls for the cultivation of attitudes and expressions when meeting and interacting with others on an on-going basis. Learning to become aware of impressions you make, observing how others affect you, and learning how to set the right tone and circumstances for interacting with others is important. Everyone needs people and people interactions. But, how do you teach yourself, or how do you learn to interact in socially acceptable ways with others? This combination emphasizes such learning. Your daily routines and habits and the effect these have on others, as well as the effect you have on others, is emphasized here. You may feel an emotional tug or pull of some indefinable sort between you and another or others. This pull probably arises from past situations or encounters. In any case, how you react to this, and what you choose to make of this with the other person or persons, is part of the learning process associated with this combination. Like minded friends, especially those who in some way seem to offer help or comradeship, at least on subconscious levels, can help you along the paths of life. It is in learning how to recognize, utilize, and then capitalize on such opportunities that is addressed here. Your appearance and mannerisms when meeting and greeting others is very important. They way you dress, the openness of your greetings, the choice of words, even the tone of speech used, all have effects on others. This combination deals with the development of such personal and social skills, and can be quite good when used well for putting others at ease about you and your intentions. You may embark on a life-long professional quest about the interactions of people amongst people. You may just be contented to keep such observations within self, learning what you can, as well as increasing your social and observational skills about people as you mature. What ever way you choose to go, when this combination is strong the need for interacting with others, as well as the need to present proper and correct social interfaces, is usually quite strong. Sometimes chance encounters bring the right people into your life. You may set an intention to locate a person(s) with just the right set of personality or professional skills. When you do, having this combination activated can be quite helpful for actualizing the thought put in motion earlier. The conclusion of how meetings or encounters turn out is generally a reflection on the social skills you develop when interacting with people, and it is in the honing and development of such social skills that these energies lie. Sometimes there are barriers to moving forward in life, and often these can be due to the reluctance of others to accept your directions or requests for assistance. Sometimes such barriers are a bureaucratic posture, but they can also arise from the way you approach others, as well as your mannerisms. Thus, learning about how you affect others, and then developing social skills is an important skill to be learned here. Famous People who are STRONG in Node/Ascendant characteristics include: Steve Wozniak, Ida Rolf, Albert Camus, Bjorn Borg, Mark Spitz, Jean Cocteau, Rupert Murdoch, Bob Dylan, Benjamin Disraeli, Earl Warren, Jackie Robinson, Ernest Pyle, Vittorio DeSica, Vida Blue. Famous People who are WEAK in Node/Ascendant characteristics include: Johnny Carson, Gen. Ferdinand Foch, Rollo May, Amadeo Modigliani, Peter Max, John Lennon, Grant Lewi, Harry Belafonte. Notable Events with Node/Ascendant active or strong include (a weak event is shown in parenthesis): James Meredith Enrolled at U. Miss., Transcontinental Railroad Completed, F. D. Roosevelt Wins First Election, (First A-Bomb Explosion). Equivalent or Corresponding Astrological Combinations: Node in the 1st House. Not all which appears real is really what the truth is, or what reality is. There can be ongoing hidden processes which create effects that you can take as reality. Such reality can provide a temporary comfort, but still there probably exists that nagging feeling that what you are seeing or experiencing is not necessarily the truth, or even close to the truth. Such are the questions which this combination raises. The need to investigate behind what seems to pose as reality, while inwardly knowing that something else may be masking a deeper truth. Becoming aware of, and then searching for the truth which lies behind whatever seemingly false reality is presenting itself is presented here. Such searches can take a few moments, or they can last a lifetime. Questions are raised, but wholly satisfying answers to such questions may never really be obtained. Being able to see beyond the obvious in ways which help you transform their life, or transform the lives of those under their control, is a part of this combination. Bringing new insights about objects, tools, equipment, etc., and how these can be used to answer or create new ways of living, or new processes of lessening the burdens of life, should be strong within those having this combination active. There should be a tendency to not take the obvious for any quick answer. There should instead be a need to look further, deeper within what is available or happening to see any hidden meanings, or any ways of transforming what is available into processes which represent improvement. Life can present many challenges, but it is in how these seemingly unsolvable enigmas are examined and analyzed within self that life moves forward. This combination does not allow you to take the easy way out, or to either present or accept pat answers. If the same answer or solution has been used for some time, then those with this strong will ask, at least internally, "Why?". "Why must this be the ONLY solution?" Surely there should be some other way of explaining or using what is being presented. Such inner restlessness can bring many insights into the process of change and how to use such new insights to provide better solutions. As life proceeds there generally is waste or decay. And where there is opportunity for such then others may try to take advantage of such situations for personal profit. Perhaps this involves the use of intimidation or force to keep others in line. Perhaps this involves convincing others that such decay is good for them, and that they should not only support the ongoing decay, and pay those who have pointed such out. This fraud, if you will, is a part of this combination, and being able to recognize what is good for self and what is not, is a strong part of the lesson here. Just because others say that something is good for you does not mean that it is. You need to learn to think for yourself, and make your own assessments. Famous People who are STRONG in Neptune/Pluto characteristics include: Erwin Rommel, Rosanno Brazzi, Wayne Gretzky, Gregory Peck, Percy Bysshe Shelley, Jackie Robinson, Sean Connery, Paramahansa Yogananda, Paul Cezanne, Mark Spitz, John Glenn, Rupert Murdoch. Famous People who are WEAK in Neptune/Pluto characteristics include: Israel Regardie, Charles Steinmetz, Sir Alexander Fleming, Amadeo Modigliani, Benito Mussolini, Ira Progoff, Carl Sagan. Notable Events with Neptune/Pluto active or strong include (a weak event is shown in parenthesis): Alaskan Earthquake, Chernobyl Nuclear Accident, Kent State Shootings, Transcontinental Railroad Completed, (Woman's Suffrage Amendment Passed). Equivalent or Corresponding Astrological Combinations: Neptune in the 1st House, Neptune in the 8th House, Pluto in the 9th House, Pluto in the 12th House, Neptune in Aries, Neptune in Scorpio, Pluto in Sagittarius, Pluto in Pisces, Neptune semi-sextile (anything), Pluto novile (anything). Cultivating an acceptance of self by others becomes important, as well as becoming a central and ongoing theme throughout all of life. You may become quite aware of inner feelings given off by others, and sensitivity to such can set off many internal responses -- especially if you feel that your ideas or thoughts are not being accepted in the ways in which they were intended. You probably do not easily tolerate any dissension or ideas which run counter to your own. You may even go far to eliminate people from your contacts or social circles who do not support you in the ways you wish. You may feel needs to be mostly surrounded by people who accept and appreciate you. There can be a stubborn streak in your thinking about any support offered. Your ideas can become so entrenched that you may not always be able to see counter-prevailing views, which in fact could be better than yours. You need to be aware of putting on blinders and shutting off input which could be helpful. Being in places where natural beauty is prominent becomes important. You need to feel the harmony within a location or place. This could lead to a study of Feng Shui, the art of tastefully arranging objects and spaces to form a more natural and harmonious whole. Being near open spaces, forests, trees, beautiful vistas -- these can become important. You would probably like to augment such surroundings with appropriate decorations, art, music and architectural layouts. Yet, even with this inner yearning for beauty around you, you may be just as happy with a small or confined private space where you can think and just be by yourself. Walks in nature can offer ways to clear your head and focus your thinking. Moods of pleasantness can be interrupted by raging rampages. Such abrupt shifts can surprise people, and many may tread with fear around you lest they set off an inner volcano of invective and rancor. When passions boil inside there are better ways to release these energies. You need to learn and control how you react to people and situations. Realize too that there is within you a gentle self who simply yearns for peace, as this can be a central part of who you are. Be aware of wanting your way of having all events run smoothly. When situations or people upset inner tranquility, then rages can result. Learn the appropriate actions and reactions around friends and within groups. You need to apply some logic to determining who is helpful and who has inserted their ego above yours. This discrimination of intention is something which this combination asks that you develop in and throughout life. You usually appear with pleasant manners, and having a smooth and polished disposition. Making a good impression on others becomes important. People with rough mannerisms or uncouth attitudes can be upsetting, and you may take pains to distance yourself from such. While you feel an inner need for peace and tranquility, you in return may not always offer such to others. Inclined to Music and Dance; Daily Routine includes Music, Art, etc. Famous People who are STRONG in Venus/Ascendant characteristics include: Paul Newman, Benito Mussolini, Hank Williams, Maurice Ravel, Israel Regardie, Tom Jones, John Dillinger, F. Scott Fitzgerald, Liberace, Adolf Hitler, Lance Reventlow, David O. Selznik. Famous People who are WEAK in Venus/Ascendant characteristics include: Jean Francois Millet, Walt Whitman, Ulysses S. Grant, David Frost, Carl Sandburg, Ralph Nader, Stephen Sondheim, Melvin Belli. Notable Events with Venus/Ascendant active or strong include (a weak event is shown in parenthesis): Apollo 11 Moon Landing, South Carolina Secession, Lee's Surrender at Appomattox, George Washington's Inauguration, (RMS Titanic Hits Iceberg). Equivalent or Corresponding Astrological Combinations: Venus in the 1st House, Taurus on the Ascendant, Libra on the Ascendant, Ascendant sextile (anything). Seeing life differently from others may not be such a bad thing. There probably is a sense of looking at what is happening and not only seeing but understanding both the good and the bad in such circumstances. This can make you appear to be rebellious and against the current political or social trends, but more it should be that you simply do not care to join in with "the herd" mentality, preferring instead to remain independent in views and thinking. Sometimes this preference can take a radical twist, marking you as an "oddball"; while in other situations you simply keep your opinions about the futility of bowing to mass sameness private. Whatever your choice, you may find it difficult to relate to people who do what media or public opinion defines as the norm. You simply hear a different drummer. Needs to express personal independence can extend out in life in many ways. They should give you unique insight into how to take opportunities or assignments in ways which allow different approaches to the use of materials, or more resourceful ways of applying self to situations at hand. Sometimes you give yourself away by some unusual mode of dress or personal markings, such as an offbeat hair color, tattoos, etc. Other times it may be that you appear to conform to the norm, but take situations in directions which many would not have thought of or envisioned. This ability to see things differently, and mostly better than what others see, marks you as a unique and generally insightful person. Whether others choose to accept your uniqueness and individuality with acclaim and approval is a different question. An interest in technical subjects, including new technical gadgets or processes, should hold a fascination. There could be a tendency to be the first with new gadgets, or there could be an interest in taking these apart to see how they work, and then to put them back together in new and better ways. This tinkering and inventiveness usually belies a clever and innovative mind, and when combining that trait with technological tools, can produce products which are superior to others. Whether these would be accepted by the general populace is a different story. The same with your way of thinking. Just because some gadget is an improvement, or some new thought is better than prevailing thought, does not ensure its popular acceptance. But to gain popular acceptance for ideas or products is not something which occupies a high priority or interest. Once a breakthrough has been made, probably more important is to move on to the next technological challenge. There should be an interest in applying of astrology to understanding people and their motivations. This may never go farther than random thoughts, or it may become a consuming passion in life. When others reject your opinions and insights on such matters this may come as a surprise, but not one which would force you to abandon or change your views on what does or does not hold merit for self and others. Understands the Role of Computers, Electricity, Magnetism and Technologies, Famous People who are STRONG in Uranus/Ascendant characteristics include: Israel Regardie, Ada Lovelace Byron, Steve Wozniak, Benito Mussolini, Billy Rose, Steve Rosenbloom, Sam Peckinpah, Neil Diamond, Shirley Jones, Jeddu Krishnamurti, Gianni Agnelli, Rollo May. Famous People who are WEAK in Uranus/Ascendant characteristics include: Jerry Rubin, Erich Maria Remarque, Stephen Foster, Hugh Downs, Alexis Carrel, Edouard Manet, Ulysses S. Grant, George Patton. Notable Events with Uranus/Ascendant active or strong include (a weak event is shown in parenthesis): Charles Lindburgh Lands in Paris, First A-Bomb Explosion, John F. Kennedy Shot, Pearl Harbor Attack Begins, Franklin Roosevelt Wins His First Election, (Bolshevik Government Seizes Power). Equivalent or Corresponding Astrological Combinations: Uranus in the 1st House, Aquarius on the Ascendant, Ascendant 1/11 (anything). Approaching situations in life head on without forethought may not always be the best approach. Sometimes applying some mental and/or physical flexibility can provide answers to ways to work around situations. These alternatives may also bring ingenious solutions. Such mental flexibility can also play itself out in many diverse ways, such as being good with crossword puzzles, card games, logic puzzles, ingenious solutions at work, etc. Whatever the situation, this combination helps add in a deviousness of approach or alternate solution seeking which can bring success or honor. Your mind is probably ever restless, and it may not be easy to relax. If you are athletic, then variations on daily routines and workouts help keep you interested and moving forward. One thing it is probably difficult for you to do is to remain static, as in unchanging and constant situations. You need variety, challenge, movement, and opportunity to provide unique insights. When frozen by circumstances, life can be difficult, but even then you will be scheming about ways to end any impasses and to get on with life. Conversation, speech and communication can become very important. There should be a need to verbalize, or to express what is on your mind, even if you do not have a clear idea at the start of a sentence as to what the ending thought will be. This strong inner need to express self through communication and ideas should color every aspect of life. It would be easy for you to become a news junkie; or follow events, magazines, commentary on life, etc. You would of course have your own interpretations on life, and be eager to share these with others. Thus situations and practices where you can write, talk, or collect information, process this, and then repeat back your versions of what they mean, can become quite important. One important lesson here involves learning to communicate in effective and confident ways at all times. It is good to take advantage of opportunities where you can practice such skills. Teaching, lecturing, writing, attending class, etc., may be involved. Working with young people can become an important part of your life. Needs to impart some of your learned wisdom to children, youngsters, etc., should be strong. Being in situations where you have to process and synthesize large amounts of information can also be very good. Day trading in the financial markets is one example of such an activity. Another would be a dispatcher for medical or law enforcement; or a law researcher sifting through much verbiage or opinion. With your active and restless mind, you can often see ways of working around or through social and legal restrictions. Doing this can become almost like a game for you. The challenge of whether your approach to working through or around imposed legal or social rules can become most absorbing. This may at times go as far as thievery, misdirection, and even swindles. Ideas start out small, perhaps even with good intentions, and as they mature and grow, circumstances can get out of hand and laws violated. Famous People who are STRONG in this midpoint's characteristics include: Gen. Charles Gordon, Benito Mussolini, Albert Schweitzer, Amadeo Modigliani, Olivia Newton-John, Burl Ives, Robert DeNiro, Steve Allen, David Frost, Ernest Pyle, Burt Reynolds, Van Cliburn. Famous People who are WEAK in this midpoint's characteristics include: Georges Seurat, Paul Newman, Jean Houston, Melvin Belli, Steve Wozniak, Carl Sandburg, Carl Sagan, Albert Einstein. Notable Events with this midpoint's active or strong include (a weak event is shown in parenthesis): George Washington's Inauguration, Lindburgh Lands in Paris, RMS Titanic Hits Iceburg, Alaskan Earthquake, Bolshevik Government Seizes Poser, (Transcontinental RR Completed). Equivalent or Corresponding Astrological Combinations: Sun in the 3rd House, Sun in the 6th House, Mercury in the 5th House, Sun in Gemini, Sun in Virgo, Mercury in Leo, Sun decile (anything), Sun quintile (anything), Mercury conjunct (anything). Powerful inner mental imagery helps formulate dreams, dreams which can become reality if you have the persistence to see them through. One of the primary combinations for a visionary person, this combination can bring tremendous insight into the various possibilities along life's path. The formation of ideas, and the bringing of dreams to reality are two different qualities. You probably have tremendous insight into possibilities, but at the same time can have difficulty focusing on everyday tasks or responsibilities. There can be areas of personal existence which go completely ignored; perhaps totally impractical ways of living -- yet behind this personal untidiness can lie the most beautiful dreams and possibilities. There probably is a strong urge to help those more unfortunate, from people to animals to causes. It can become quite easy for you to become involved with people or situations which have lofty ideals and goals, but are not always able to produce practical or workable results. This may not matter to you, and the possibilities and potentials within the dreams you are pursuing can lead you on for years and years through wonderful and enthusiastic pursuits of some vague, yet possible glory. This combination can bring situations and inner assessments which make it quite easy for you to mislead yourself, and if your powers of persuasion are strong enough, then others too. Like the Pied Piper, you have inner qualities which others see and hear, and then are drawn to follow along with you as you pursue these possible and impossible dreams. The chasing of rainbows can be more exciting than the capture of any prize at their end. Yet it is this chase, the romantic pursuit of imaginative figments, which generally occupies central stages in life. Such imaginative power can lead to outlets involving the playing or creation of music or art, writing, religious inspiration, seeking lost treasure, adventures in exotic lands looking for the sources behind legends, etc. The possibilities are endless. Life may consist of a series of back and forth efforts. Energy in one direction can be expended only to find that something blocks the way. No problem, there are other inspirations to pursue. Perhaps a relaxing time with friends, and discussions about possibilities. Perhaps the pursuit of the promise of places with Shangri-la potentials. Perhaps the founding of communities which promise some betterment for self or mankind. Perhaps the undertaking of religious or magical exercises to expand consciousness and awareness. Perhaps developing inspirational talks, books, etc. Anything which can bring your inner inspirations into a reality for others to try, use and even personally grow from. Yours is the task to present dreams and visions to others so that their environments and lives can be enriched. There can be a powerful pull to using drugs to heighten inner senses. While it is not always necessary to use drugs, and self-development can work around those, sometimes drugs can short-cut personal development practices which can take years. If you use drugs to help escape the realities of life, then you should also make yourself aware of their potential downsides. Famous People who are STRONG in this midpoint's characteristics include: Jean Cocteau, Shirley Jones, Stephen Foster, Mario Andretti, Paul Newman, Vittorio DeSica, Ellen Burstyn, Stephen Crane, Sir William Crookes, Jimi Hendrix, Lawrence Welk, Earl Warren. Famous People who are WEAK in this midpoint's characteristics include: Steve Allen, Marlon Brando, Carl Sandburg, Willie Mays, Gen. Joseph Joffre, Elton John, Thomas H. Huxley, Arthur Ford, Hank Williams. Notable Events with this midpoint's active or strong include (a weak event is shown in parenthesis): Lewis & Clark Expedition Starts, James Meredith's Enrollment at U. Miss., George Washington's Inauguration, Pearl Harbor Attack Begins, (Apollo 11 Moon Landing). 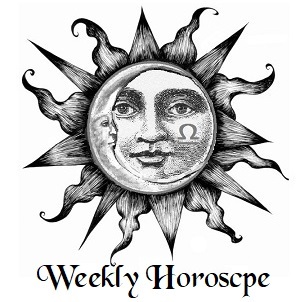 Equivalent or Corresponding Astrological Combinations: Sun in the 9th House, Sun in the 12th House, Neptune in the 5th House, Sun in Sagittarius, Sun in Pisces, Neptune in Leo, Sun novile (anything), Neptune conjunct (anything).